I made my way from Hampi to Gokarna by the end of November and saw in the month of December back on the waves. Gokarna is another of those places that people will generally tell you to visit, so don’t be surprised to find yourself firmly on the tourist trail when you arrive (at the risk of being facetious, a clear sign are the number of caucasians ambling by who look like they’ve just wandered off the set of the Lord of the Rings). I went straight to Cocopelli Surf School. Sandeep Samuel, the founder of the school, had left a room open for me to use – I’d expected to be dropped in the middle of the night by a bus that had actually dropped us in the middle of nowhere in the middle of the night (but we were fine and it was totally uneventful, so no story, other than one of two kind Belgians feeding me Amaranth sweets in bus stations, making sure I woke up for the next bus, in time to get off the current bus, in time to get on the next, etc… a maze of a journey that led us steadily towards Gokarna’s beautiful bays – thank you Garyth and Sylvie!). And thank goodness we landed in daylight: Cocopelli purposefully hides itself away beyond lanes interwoven in remote agricultural land, mainly rice paddies-turned-sweet potato farms for the dry season. 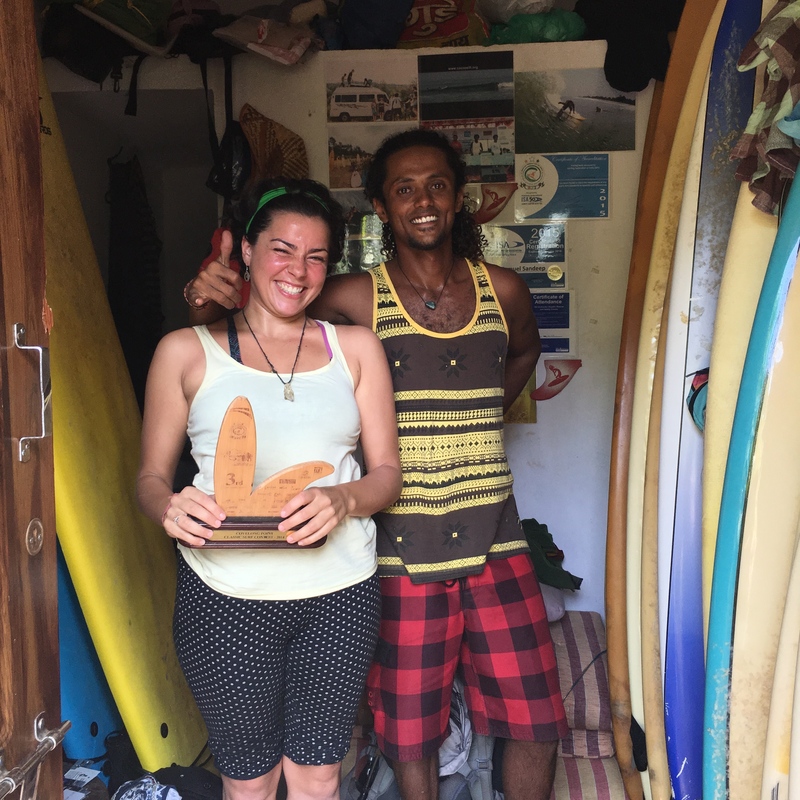 Two of India’s ‘first generation’ surfers (makes them sound like a unique breed, huh – maybe true!) hosted me at Cocopelli. 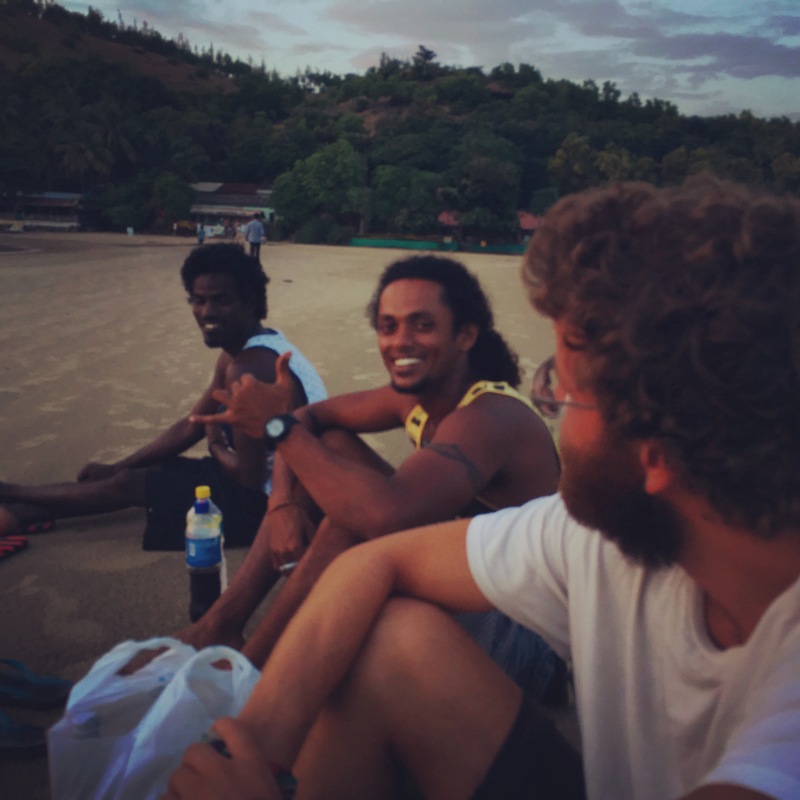 They gave me the warmest of welcomes when I arrived, and treated me to a breakfast of the finest banana buns and chutney and a relaxed friendship which immediately made me feel at home: the surfing community makes the world feel like a very small place. My stay at Cocopelli was blissful: the rooms are part of Sandeep’s house which is modern and beautifully made. 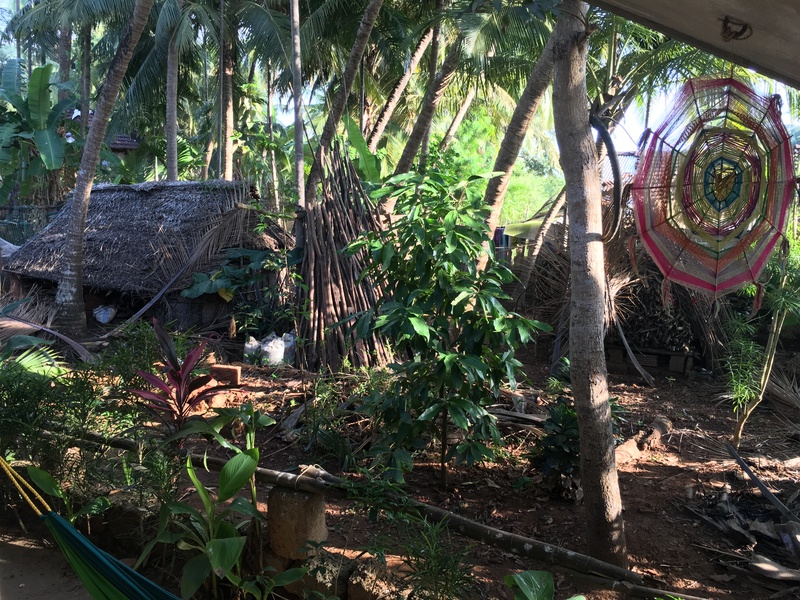 It was beach / jungle living with all the comforts of home and a totally private environment with just the occasional neighbour passing by with a wood stack± or a hoe. Spending time with Sandeep and fellow surfer and colleague Shankar Venkatachalam felt very familiar, like the kind of warm hospitality I’ve experienced from the surfing community in Arugam Bay. Sandeep and Shankar loved hearing news of Arugam Bay – they’d made connections with the surfers there on a trip to Sri Lanka in 2007 which were reinforced most recently at the Covelong Kovalam surf contest (on the east coast, where they are both originally from) where Sandeep was a judge. Sandeep is currently nursing a knee injury which means he can’t compete (at 31, I wonder how many competitive surfers without the appropriate support find themselves in similar situations) but is surfing now with a knee brace despite warnings against it: he misses the sport too much to hold back. He does talk candidly about there being “no life” in competitions, so on that count he has no regrets – having been India’s youngest snooker champion, he feels he’s already reached the top in one sport and seen what the world of ‘winning’ has to offer. Shankar told me he finds great respite from all of life’s concerns in the water: later, when I was to meet Tushar Pathiyan from Shaka Surf Club in Hoode, south of Gokarna, I would find out that Shankar was one of India’s very first surfers in modern memory (no doubt there were cultures surfing these waves in the past). He was amongst the first three people in India, a country of over 1.252 billion souls, to begin surfing over fourteen years ago. It’s still a very small scene with only an estimated 200-300 regular surfers. And, as mentioned, surfing makes this planet very small indeed: earlier this year a group of us were lucky enough to attend the first Surf + Social Good Summit and had a chance to see the projects a number of the attendees were working on that combine surfing and social impact. The next place on my indian surfing map: Udupi. ± “occasionally with a wood stack” – there’s a tradition, I understand from Sandeep, amongst the women in the village to meet up occasionally in the deep dark of night and walk a distance to steal wood. These women are wealthy and have all the wood they could need, but this is their fun and their exercise. They do it en masse and return to the village and their homes by dawn. Sandeep has promised I may join them the next time I visit. What a coo. Thank you, Mukul Chand! It’s a great place with great people. So lucky to meet them.